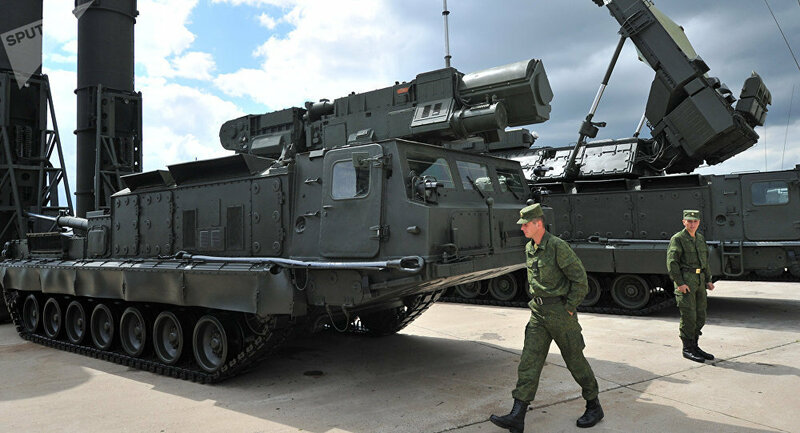 MOSCOW (Sputnik) — US warplanes operating in eastern Syria were multiple times in crosshairs of a Russian S-300V4 air defense system, Armed Forces Air Defense Troops commander Alexander Leonov has said. "As part of its military operations, US Air Force strategic reconnaissance planes and bombers were multiple times detected and automatically followed," Lt. Gen. Leonov told Russia’s Izvestiya newspaper in a piece published Thursday. The general said the surface-to-air system was deployed to Syria in October 2016 year to "expand control over the eastern Syrian airspace, prevent enemy airstrikes at the Hmeymim airfield and the Tartus logistics base." He said US planes reacted "nervously" to being tracked by Russia’s air defense unit from the distance of 200 to 300 kilometers (124 to 186 miles). The system and its personnel were withdrawn to their permanent deployment site in June this year. Earlier, the Russian Defense Ministry reported that a US F-22 fighter prevented the Russian pair of Su-25 attack aircraft from carrying out a combat mission to destroy the Daesh stronghold over Syria's Euphates River. The ministry's representative noted however, that after the appearance of a Russian Su-35S fighter, the F-22 stopped dangerous maneuvers and left for Iraqi airspace.